She had problems with handwriting and spelling. As a result, she had to dictate all her novels. She also had difficulty with arithmetic and foreign language learning. 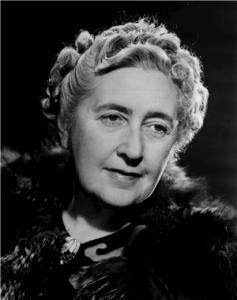 Agatha Christie has sold more than 2 billion books worldwide. She wrote more than 90 novels and two dozen collections of short stories. Her work has been translated into more than a hundred languages. Her father died of pneumonia when she was 11. When she was 16, she left Britain for France to try a career as a singer and pianist, but it didn’t work out. Agatha Christie was a nurse during World War I. In 1926, she disappeared for 11 days after learning that her husband, Archie Christie, was cheating on her. She was found by the police in a hotel, registered under the name of her husband’s mistress. She divorced him a few years later. In 1930, she married a young archeologist, Max Mallowan, and she followed him on his working trips all over the world. She wrote romance novels under the pen name Mary Westmacott. In 1971, she was made an honorary Dame of the British Empire.